Remember the Chinese Orange Chicken recipe that I posted earlier? 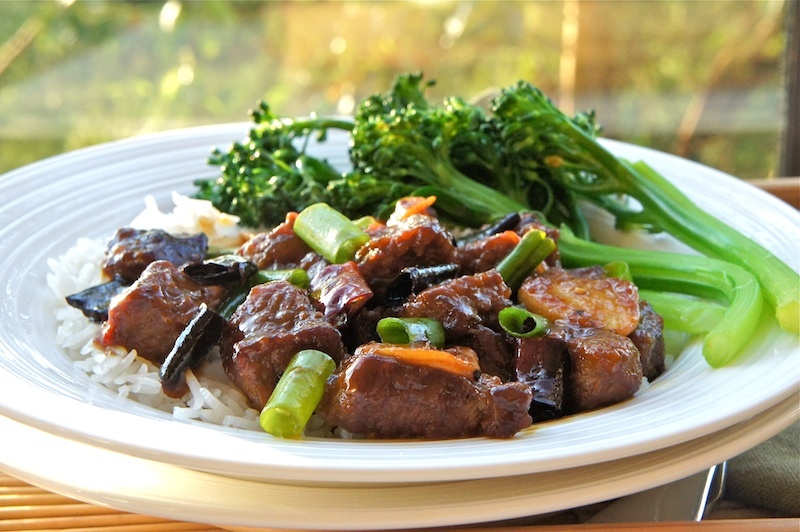 It was so popular that I thought it was time I posted the beef version, Stir-Fried Orange Beef. There are a couple of main ingredients that needs to be changed for using beef, namely, use Shaoxing wine and fresh orange zest instead. 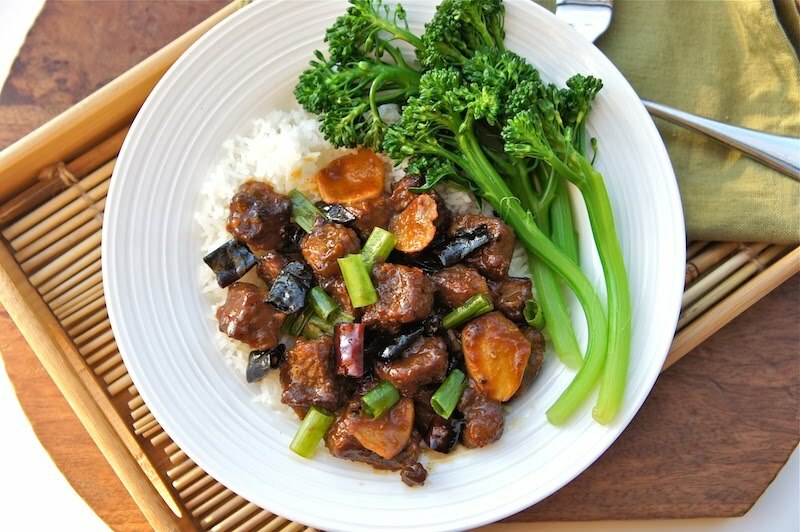 If you love beef, this is a fantastic dish that you will enjoy with just some steamed rice and a simple stir-fried or steamed vegetables dish on the side. A quick no fuss dish to prepare. As with all stir-fried dishes, the trick is to have all your ingredients ready before you start cooking. Enjoy! Toss the beef with black pepper, sea salt, and coat with corn flour. Heat 2 Tbsp of oil in a large wok or cast iron pan until hot. Add beef cubes into the pan and brown for 10 to 12 seconds on each side over a moderate to high heat. (Cook the beef in 2 to 3 batches) Remove from the pan with a slotted spoon and set aside. Add in the remaining 1 Tbsp of oil. Then mix in the dried chilies and stir-fry briefly until they are fragrant and just changing color (do not burn them). Add the ginger, garlic and stir-fry for a few seconds more, then add the orange zest and stir-fry until the oil is fragrant. Add the sauce, stirring as it thickens. Tip in the beef cubes and stir vigorously to coat it in sauce. Toss in the scallions and stir a few times, switch off the heat, and serve immediately. Wow, the colour of the dish is jumping out at me and screaming for me to make this. It looks excellent. I love these kind of quick, tasty, good honest dishes! Lovely. I can eat two plates of rice with this....thanks for sharing this beef dish with a burst of flavors ! nice,I may try to do it later. thanks.Hope meet you at tennis court soon. I love the thought of orange and beef. It looks outstanding. We enjoy Asian-inspired cuisine so this will be perfect for the family. Thanks for sharing.